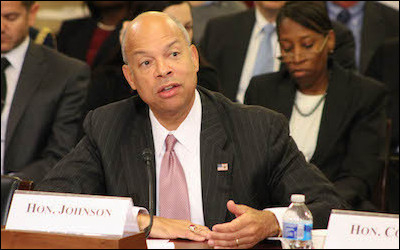 In July 2016 then-DHS Secretary Jeh C. Johnson assured lawmakers that CVE grant applicants would be carefully vetted. Philadelphia – May 1, 2017 – The Middle East Forum has filed a lawsuit against the Department of Homeland Security (DHS) to secure the release of documents related to the Obama administration's Countering Violent Extremism (CVE) grant program. The grant program, which began last year, is intended to assist "efforts at the community level to counter violent extremist recruitment and radicalization to violence," but MEF was concerned about U.S. Islamist groups – themselves radicals – receiving CVE funds. Indeed, grant recipients have included the Muslim Public Affairs Council (MPAC), an organization with ties to the Muslim Brotherhood and a long history of sanitizing Islamist terrorism. On January 10, MEF filed a detailed Freedom of Information Act (FOIA) request with DHS seeking documents about the selection criteria and specific decisions in awarding CVE grants. The request indicated that the documents are mostly located at the DHS Office for Community Partnerships (OCP), headed by George Selim. Having failed to receive even a response to its request within the 20-day period mandated by law, MEF contacted DHS. Finally, on March 23, DHS FOIA officer Ebony Livingston informed us that the request had been routed to the Federal Emergency Management System (FEMA), which found no pertinent records. On April 26, MEF filed a lawsuit alleging that DHS violated the law by not only failing to produce the documents, but failing even to conduct a search for the documents. The complaint, prepared by attorney Matt Hardin, a specialist in FOIA litigation, seeks injunctive relief compelling DHS "to search for and produce all records in its possession responsive to plaintiff's FOIA request." "We filed a detailed FOIA request, specifying the documents we were looking for and where they likely were," said MEF Director Gregg Roman. "DHS not only failed to produce the documents, it failed even to conduct a search and closed our case without bothering to tell us. This is not just unacceptable but illegal." The case has been assigned to Judge Royce C. Lamberth of the United States District Court for the District of Columbia. It bears noting that Judge Lamberth previously handled FOIA litigation concerning former Secretary of State Hillary Clinton's emails. "The CVE program should be canceled altogether," said Sam Westrop, director of MEF's Islamist Watch project. "And guidelines should be put in place to make sure that extremist groups like MPAC never receive taxpayer money to counter extremism." Related Topics: Counter-terrorism, US policy receive the latest by email: subscribe to the free mef mailing list This text may be reposted or forwarded so long as it is presented as an integral whole with complete and accurate information provided about its author, date, place of publication, and original URL.